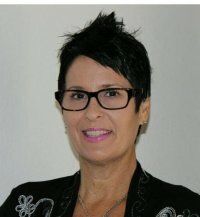 Lisa has been working in the Health Care field for over 20 years, the last 14 specializing in “End of Life Care”, and in April 2005, she began studying natural holistic healing and energy therapies. She is a Healing Touch Certified Practitioner and Instructor, Master/Teacher of Reiki and Guided Imagery Therapist. She brings much enthusiasm, empowerment, and creativity to her classes. Lisa promotes a healthy, happy, joyful, & prosperous teaching environment. She serves a vibrant and diverse spiritual community. Lisa is dedicated to living/teaching Practical Spirituality through touch and unconditional love, which fosters principles that are positive and uplifting and support self-empowerment, positive life skills, and self-care.